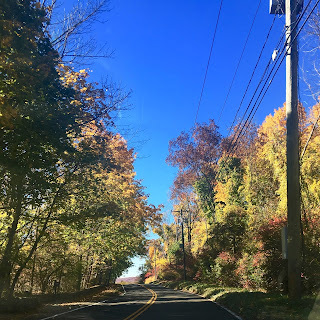 As I was looking through my camera and phone in preparation for writing this post, I realized I didn't take as many photos as I thought I was going to. Truthfully, a lot of the photos were through Snapchat and Instagram Stories, which have an expiration date ... but I live-tweeted almost everything when I could get reception, so you can check that out if you're interested (#selfpromotion). So in the interest of sharing both the praise and the criticism like I promised... like all first-time events, there were obvious highs and noticeable missteps. I think the rain wasn't helpful for trying to execute such a big event in a place not used to hosting such crowds, but that's not really anyone's fault but Mother Nature. Washington Depot is lovely and the employees at the different stores hosting events were wonderful and kind. I had read some news items before the festival about residents who were unhappy with the event, which is understandable for a small town, so I was concerned about being too intrusive ... but (mostly) everyone I met who lived and worked in the town got into the spirit of the weekend. Employees at the hardware store offered to take photos for fans at the makeshift Luke's table in the window, the employees at the cafe kept the line moving, and the bus drivers shuttling folks between the school and inn were patient and interested in where everyone was from and how the weekend was. I met a woman at the cafe on the last day who lived in the town and wasn't used to the long lines, but she said she didn't mind waiting even though she really needed coffee because she loved the excitement fans had for the show. Logistics-wise: the program itself, while varied, could've used with some better scheduling. A lot of the meet-and-greets were scheduled simultaneously at the start of Saturday which made it difficult for fans to do multiple things at once: if you were spending an hour waiting in one line, you were most likely missing out on something else. Theoretically, it's good to split up the crowds and not intrude on businesses all day long, but some fans I spoke with felt they spent more time waiting in lines than anything. At the Washington Supply Company (hardware store), where they set up a diner table in the front window. 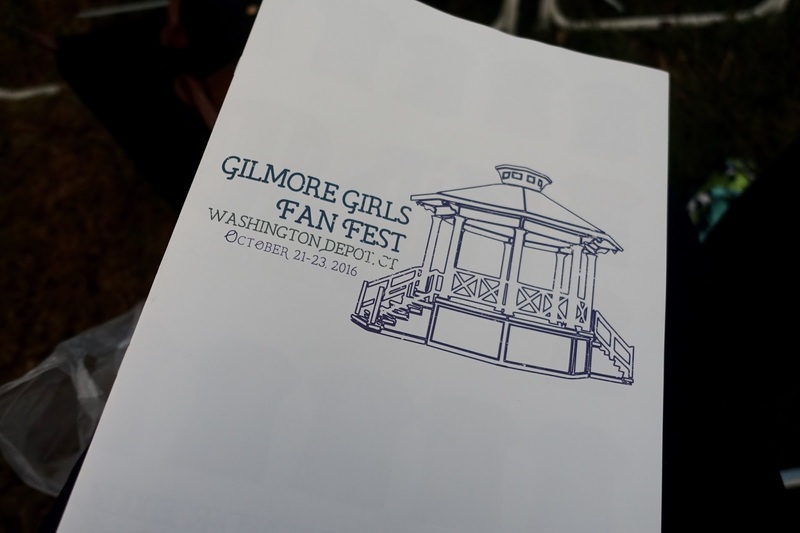 One of the things that was fun was seeing Gilmore Girls on a giant screen, though it would've been nice if they kept episodes running on a loop for the downtime or for the folks looking for shelter from the rain. One of my favorite things from the weekend (and I'll get to this in the list at the end) was watching episodes with live commentary by key costumer Valerie Campbell. I love behind-the-scenes trivia more than anything. 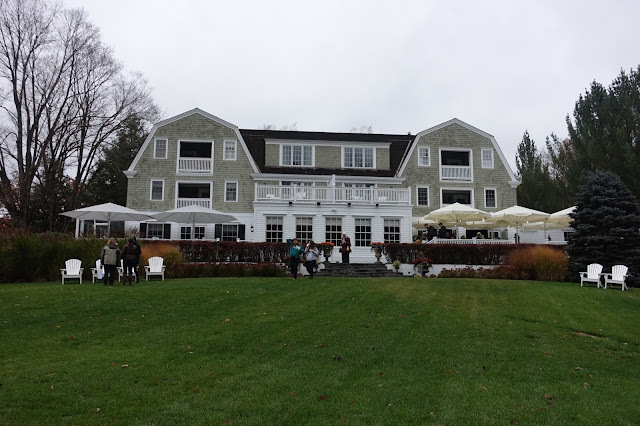 The Mayflower Grace, where Amy Sherman-Palladino once stayed. Presumedly, the inspiration for the Independence Inn. Speaking of taking shelter in the tents: there wasn't too much "shelter" to take in the cold! The tents weren't heated, so if you weren't lucky enough to be VIP, you were sitting out in the cold for most of the weekend (*raises hand* ... also, there was one person my friend met at the festival who was turned away by a volunteer because the volunteer thought only VIP could sit in the tents – not true – so that girl ended up leaving and going back to her hotel and missing the Friday night crew panel... ). Part of the side tent was heated, which was a plus, but there weren't too many perks of being in the tent and watching simulcasts of the panels happening inside town hall. And as much as I loved the crew panel, if anything happened off mic, us out in the tent had no idea what was happening. When it wasn't raining, the fall foliage was beautiful! 1) I mentioned this above, but I loved listening to key costumer Valerie Campbell do live commentary on episodes in the main tent. 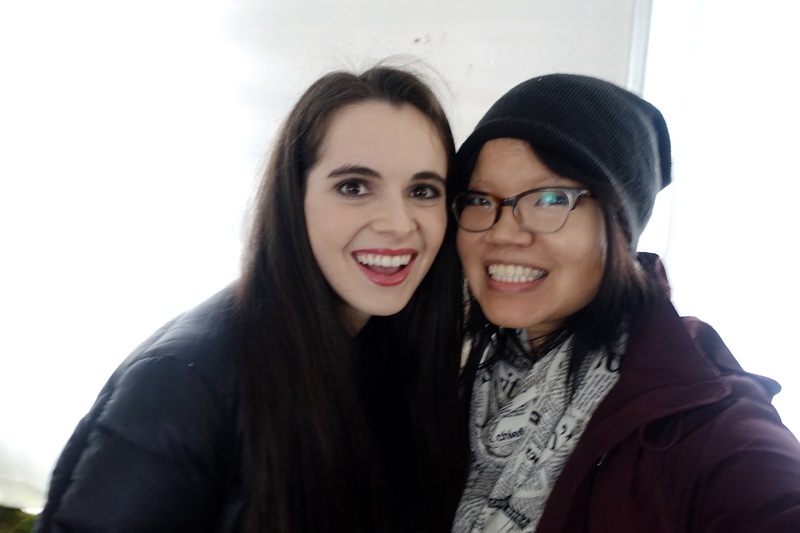 I felt bad for her when she had to keep repeating the same answers to questions that had already been asked, but she was so generous with her time and talked for four-plus hours straight and shared so many interesting stories from behind the scenes. For example: during the episode where Richard and Luke go golfing together in season six, Ed Herrmann accidentally hit the set medic with a golf ball and they had to rush to find a medic to care for their medic. 3) The cast panel was also delightful, mainly because Liz Torres is a masterful storyteller, even when she's going a bit off topic. The panel was moderated by the Gilmore Guys, and all of that podcast training paid off because they were used to focusing on a production that was dependent on audio. When questions or conversations happened off mic, they repeated the jokes, and they made shout outs to the tents so we didn't feel like we were in another city. 4) Star Herrmann, Ed Herrmann's wife, was so kind. She spoke so lovingly about the show and the fans, and how much Ed loved the show and fans. 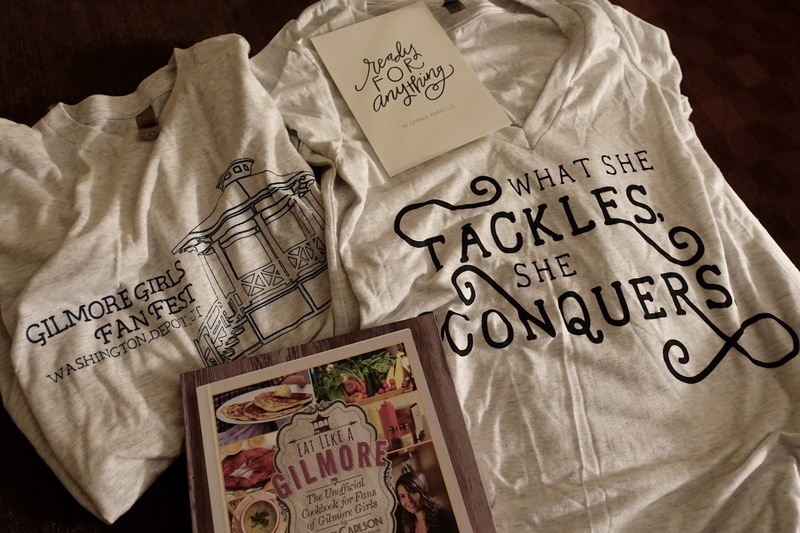 She said that people often wrote Ed about the show and once a child wrote saying they wished Richard Gilmore was their grandfather, and Ed wrote back (he wrote back to everyone he could) and they exchanged letters from time to time as if they were grandfather/grandson. Stories like that were so emotional and personal, and her presence made the weekend very special. 5) The breakfast burrito at Marty's is A+. I had it twice. Like I said, I could go on forever, but I think I'll end it here. Would I go again? It depends on the program, to be honest... as lovely as Washington Depot is, the remoteness doesn't lend itself well to an affordable or accessible experience for all. I will say that it was great to be there to be part of the first fan fest, and I think there are a lot of lessons from the weekend that I'm sure organizers and volunteers will take note of if they want to do this again in the future. 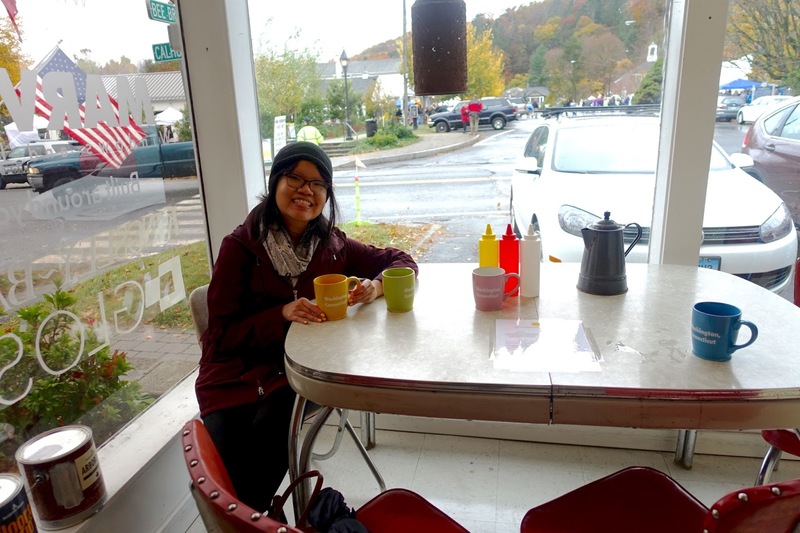 One thing's for sure: if you're ever in the area, stop by Washington Depot for a cup of coffee. You won't regret it. 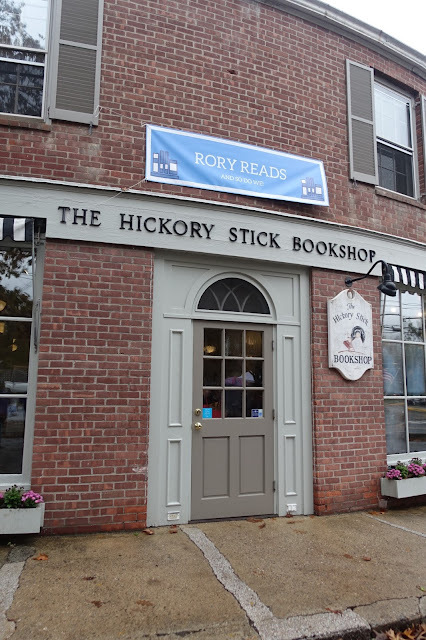 "Rory Reads and so do we!" At the Shakespeare Garden outside the Mayflower Grace.